Atomic Monkey Entertainment Production USA Ltd.
We have opened business partnering with CHATEAU AGENCY effective from today. We are aiming to provide effective effort to you together. New app game 「Cinderella Nine」has introduced. 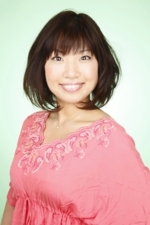 Nozomi Nishida plays as Tsubasa Arihara. PV movie and cast interviews are available at official HP. Let’s play baseball with Ciderellas!! 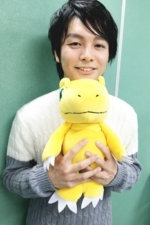 Junya Enoki joined 「DIGIMON ADVENTURE FES 2016」. 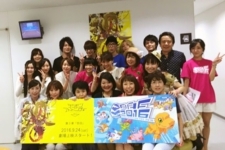 It has been 1 year since last fes… Wonderful cast were gathered this year again! Fes had talk session, drama reading and live session! New PV and more exciting news were introduced. You can’t take eyes off from them!! Special thanks to all cast who are in photos for the photo permission. 「Washizaki Jungle 6th」had held in Hokkaido. The event had Rei Matsuzaki, Yumi Igarashi and Takeshi Washizaki!! 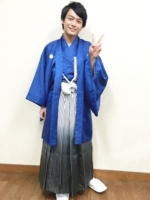 They enjoyed talking (Igarashin…, Okehazama… and more) various topics!! 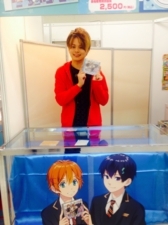 His music CD with autograph session ticket was sold at the event. If you are interested in him, please check his music CD too!! Arise Sato is in App game「Shironeko Tennis」as Tohko. Characters from famous app game「Shironeko Project」are now changed weapon to tennis racket!! Let’s enjoy tennis with attractive characters!! Time Bokan has introduced new anime「time bokan TWENTY FOUR」! 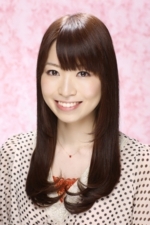 Rikako Aikawa will be in the anime. You will experience new time bokan this autumn. 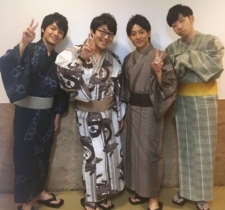 Yuki Ono,Junya Enoki,Kei Minegishi and Katsufumi Yachi joined 「I★CHU Fan meeting～Summer Festival～」. It is 3rd Fan meeting for I★CHU. 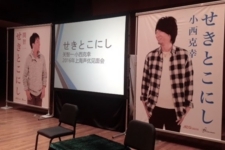 Information of new songs and characters were introduced at this event. They all are excited too!! Let’s play music and become producer! Nozomi Shined joined 「Wonderful Hobby Life For You! 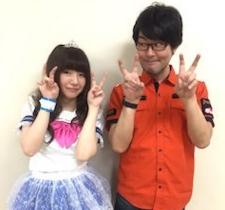 !24」 Live show night part as a one of cast from Macross Delta at Macross Delta part. Anime「Macross Delta 」is heating up now! Please check plamodel and figure too! 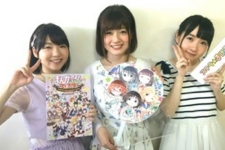 Takes Washizaki joined as MC, Kotomi Aihara joined as a member of 「THE iDOLM@STER CINDERELLA GIRLS」「Wonderful Hobby Life For You! !24」 Live show day part. It was the very first time for Kotomi Aihara to perform in front of audience as Shiki Ichinose. She got very nervous at the beginning but by the wonderful audience she could enjoy performing at the end. Mako Muto and Riiko Tazawa are in 3DS game「Yu-Gi-Oh! Duel Monsters: Ultimate Card Battle」. Mako plays as main player. 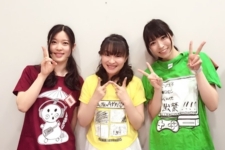 Ruriko Aoki,Ami Nanase and Ryoko Maekawa are playing game 「BIOHAZARD UMBRELLA CORPS」at CAPCOM TV. You can watch their fight which improve week by week at the channel. 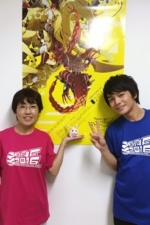 Tomokazu Seki and Megumi Han joined Ultraman memorial event. Topic of talk was about 「Love for Ultraman」, they talked a lot about how they love Ultraman. Motion comic「ULTRAMAN」movie was showed there too. 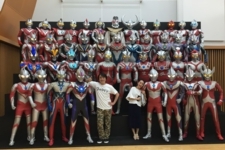 Tomokazu was extremely happy surrounded by ULTRAMANs. Doesn't he look Ultra hero owner, does he? 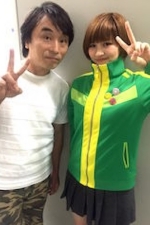 Makoto Koichi performed in PERSONA4 stage 「The ULTIMAX ULTRA SUPLEX HOLD」as Chie Satonaka. Her kicking skill got power up!! Now it is the time you to re-watch PERSONA4 anime again! 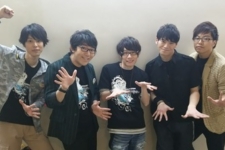 Tomokazu Sugita(as Tadaomi Karasuma) , Subaru Kimura (as Ryoma Terasaka) and Takeshi Washizaki(as MC) joined special event of 「Assassination Classroom」. 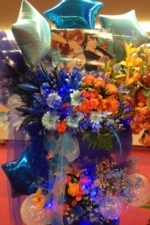 The event theme was "Graduation ceremony". Tomokazu and Subaru reminded once again how happy there were to involve in 「Assassination Classroom」. 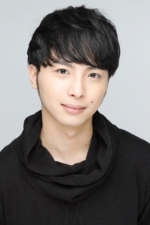 All cast is now graduated from the Anime「Assassination Classroom」however surprising news were introduced there!! You should keep checking 「Assassination Classroom」!! 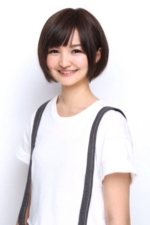 Ruriko Aoki joined Vega Festival Special 「THE iDOLM@STER CINDERELLA GIRLS」. 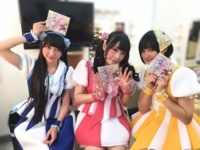 Information of 3rd Live Blu-ray and VR were introduced. You can wish to Vega with Ruriko! 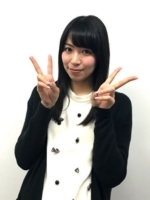 Nozomi Nishida joined Macross Delta FC event. 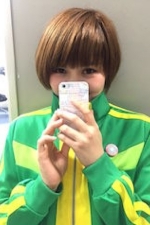 She was nervous at the beginning as this was the first time for her to join Macross Delta event. However she enjoyed the event more than anybody there by wonderful audience and Delta members!! She drew Teo&Zao Yusshira(cv. Kei Minegishi) seriously…!! 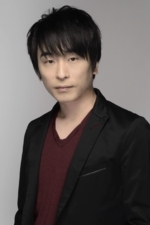 Ryogo Maekawa joined 「Kirara Festa 2016」. New anime「Magic of Stella」is introduced at the event. 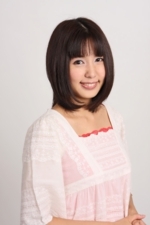 She plays as Yumine Fuda. 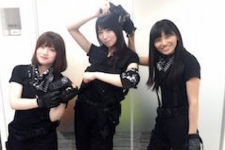 At the news introduction, Ryoko was invited the stage as secret guest! You can see her more in the anime from this autumn. Special thanks to all cast who are in the photo for the photo permission. 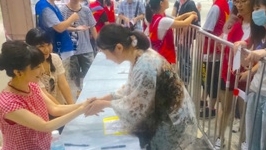 Ruriko joined "Famitsu Fes 2016"@Akihabara. Ruriko played game 「Splatoon」with audience at special stage of "I have Controller" which Ruriko is in as MC. 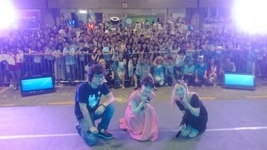 Ruriko and audience enjoyed the event. Thank you for all fans who come to join the event @ Akihabara and watched niconico live on demand. Yuki Ono performed @ Tsukipro Live 2016. If you missed or wish to see his performance more, here is a good news!! The event will become Blu-Ray package. Junya Enoki’s new Radio「MAN TWO MONTH RADIO」（＠QR）has started. He will be radio personality for next two months. You can dig his deeper side at only here. 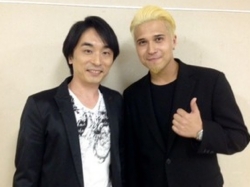 Tomokazu Seki attended fan meeting in Shanghai with Katsuyuki Konishi as “Seki to Konishi”. 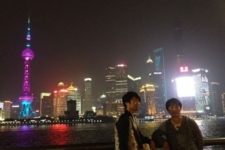 This was the third time for Tomokazu to visit Shanghai! Many fans came down to Shanghai over the country. They sang 2 songs at the meeting and here is the secret story that they kept practicing songs until just right before the meeting started! Doesn't it look good ? It is a special clear file for the event! How cute!! Thanks for wonderful flower!! 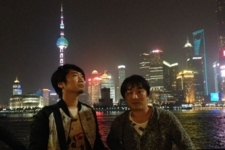 Tomokazu visited Bund & Gordon Nanjing Road with Katsuyuki Konishi . They enjoyed the beautiful view. Special thanks to Katsuyuki Konishi for the photo permission. NEW「Oha Suta」with NEW MC has started from TODAY!! 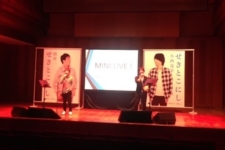 Very first day for Ono-chan(Yuki Ono) & Hana-chan(Netsuke Hanae) MC went successful. 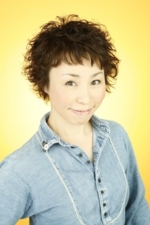 Ono-Chan (Yuki Ono) will handle Tuesday and Thursday morning. Watch his big & happy smile every morning and share happiness to your friends! Takeshi Washizaki／New Radio program has started! New radio program 「YORU NIGHT X YORU NIGHT」has started from Today. Takeshi Washizaki will be main personality. You should turn the radio on every Monday-Thursday @12am!!! I am in TV anime「Age 12」as a teacher. It is about the first love! You can remind your first love with sweet pain in your heart. 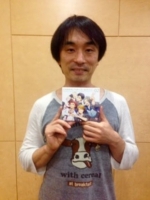 Tomokazu Seki joined 「Harukanaru Toki no Naka de」Fan event. Live & Reading performance, cross talk were contained in the event. 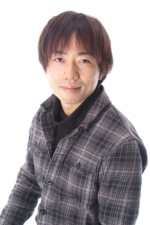 Tomokazu enjoyed Fan’s great energy and love for 「Harukanaru Toki no Naka de」series. Thank you for beautiful flowers!! Drama CD「Abe no Seimei ~Soken no Shoh~」is on sale from April 10th. 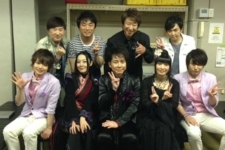 Many actors joined the CD performance. 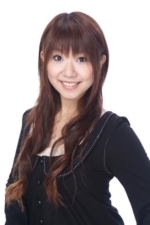 Nozomi Nishida and Kei Minegishi will be in new 「MACROSS DELTA」!! 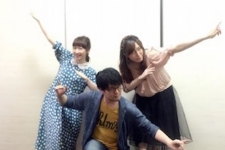 Nozomi Nishida as "Makina Nakajima"
Kei Minegishi as "Theo&Xao Jussila"
Makoto Koichi appeared niconico Live program「Fuwafuwa summit Vol.15」! Thank you for watching the program and Makoto loved the stage. Special thanks to Kei Tomoe and Erii Yamasaki for the photo permission. 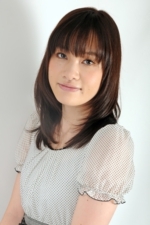 Ruriko Aoki appeared in commentary video of 「Hyrule Warriors Legends」. Ruriko is purely a big fan of 「Hyrule Warriors」and sharing excitement. And… Ruriko will be in the game as “My Fairy”!! 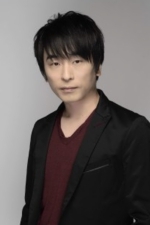 Junya Enoki will be a new web radio 「Hagane-Orchestra(App game)」personality. 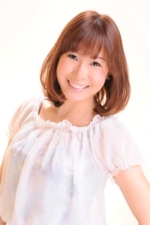 Ruriko Aoki／Seiyu Award navigation personality! Let’s check and guess who will win awards with Ruriko! Theme is “Enjoy games with YOU”! Ruriko will play games and asking for advices to enjoy games with all of you! 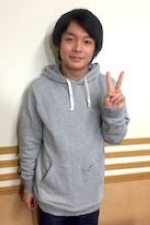 Junya Enoki joined niconico Live. It had play back talk, new PV releasing and more! In drawing part, Junya drew Meikuumon. Now he started practicing drawing … Let's find out how it went!! 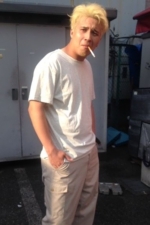 Junya Enoki joined King Jungle in Osaka event! So many first experiences for him! He loved all of them!! 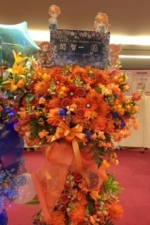 Junya enjoyed the event very much and thank you for fans welcoming Junya there!! 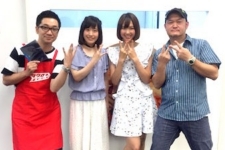 Yumi Kakazu joined the event of “Kimonobu talk show” at Mitsubishi depart. Kimono-bu members read Rakugo picture books. 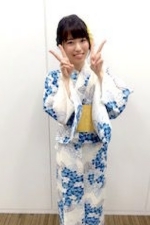 Every cast wore Kimono which colored the event gorgeously. Audiences in different generations seemed really enjoyed the event. 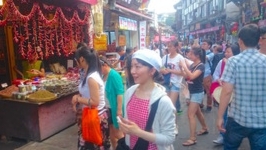 Yumi and other members appreciated for warm atmosphere there. 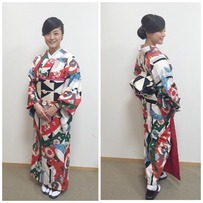 Kimono Yumi wore was provided by Modern Antenna. Tomokazu Seki and Subaru Kimura visited “Aruaru City” in Kokura, Kitakyushu as Manager of the day! 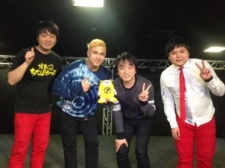 Tomokazu and Subaru joined talk show, inaugural ceremony and store visitings. 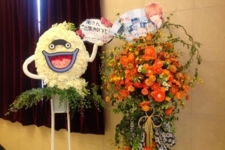 It was a short visit to the city but Tomokazu and Subaru enjoyed the event, audiences and city. Their autographs are inscribed to 4 stores in “Aruaru City”. 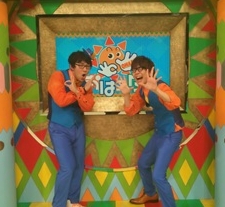 Special thanks to George and Maruo (Comedians: Mentaiko) for the photo permission. Megumi Han appeared at JUMP FESTA 「JUMP SQ booth "Twin Star Exorcists”」! 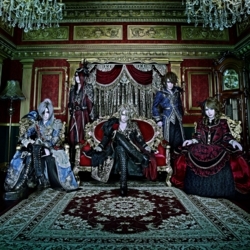 Teaser PV is available on Official HP. Don’t miss it! Special thanks to Ayumu Murase for the photo permission. 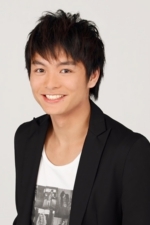 Makoto Koichi: WEB Radio has started! WEB radio「Nurse Witch Komugi R」has started. TV Anime「Nurse Witch Komugi R」will be on air from January 10th. 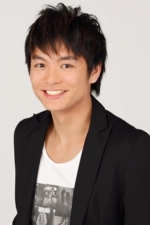 Makoto Koichi is performing as “Tsukasa”. She is also one of the radio main personality. Makoto, herself and “Tsukasa” are very energetic girls! Please check them out!! 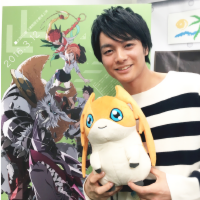 Junya Enoki attended 「Digimon Adventure tri. 」premier in Sapporo. It was the very first time for Junya to visit Hokkaido. 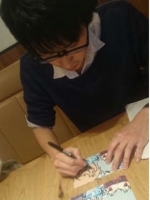 He was pleased to fan's warm atmosphere and passion for 「Digimon Adventure tri. 」. Thank you very much for welcoming Junya and enjoy the movie. Fumiya Tanaka & Izumi Chiba joined to perform Audio Cinema「2nd First Kiss」. It will be on sale at iTunesStore from 1st December. What would you do If you find out truth of your first kiss? Reona Irie became face of MEGA House booth at AGF2015 as representative of MEGATORE STATION. He handed out CDs at the booth. Reona enjoyed talking to each of you who came down to meet him. Thank you very much for coming to the festival and meet Reona! 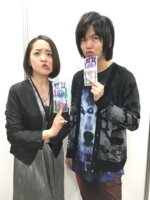 “MEGATORE STATION~2nd season~”(personality: Tetsuya Kakihara & Reona Irie) is available at official HP. 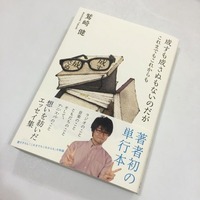 Ken Washizaki has released his first book 「成すも成さぬもないのだが　これまでもこれからも」which is available at book stores from today! Let’s jump into Ken Washizaki’s world!! 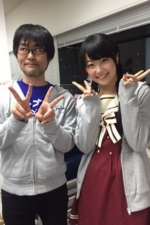 Rikako Aikawa have had “Book Reading” at elementary school in Shibuya. 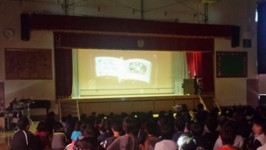 Students were glued to the reading by Rikako’s protean act. We could see a lot of happy faces at the end of the successful event. 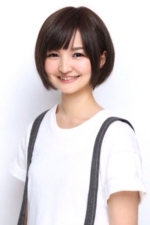 Megumi Han will be performing theater「Terror in Resonance」(残響のテロル)as Five which she acted in the animation as well. Please come to see her live performance. 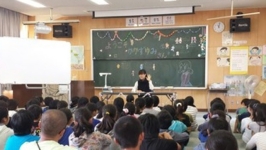 Yumi Kakazu delivered lecture at elementary school in Tokorozawa. All students were very into Yumi’s talk as many students have interests to voice acting as their career. Yumi joined their lunch after the talk. Thank you for the good lunch!! We could see their hopes in their eyes with shine. It was a beautiful to see and very honor to be there. Thanks to teachers for having Yumi! Ken Washizaki’s New album ranked in ORICON BEST 10! Ken Washizaki New album was ranked in ORICON Best 10! THANK YOU to all of fans!! Tower Record, HMV, Amazon and various CD shops. 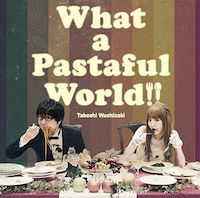 Please check with your nearest CD shops if “What a Pastaful World” is available. NOTE:“What a Pastaful World”is not available at Atomic Monkey Webshop. The album is available for sales within Japan only at the moment. 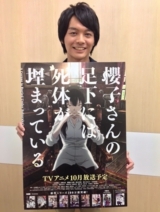 「A Corpse Is Buried Under Sakurako's Feet」will start from October 7th. Junya Enoki attended #1(full story) and #2 (digest) premier ahead of the on air . Music live performance by TRUE and talk session were held at the event. Junya enjoyed being the event as one of key cast. Please check his new performance at 「A Corpse Is Buried Under Sakurako's Feet」. 「THE IDOLM@STER SideM」announced new casts. 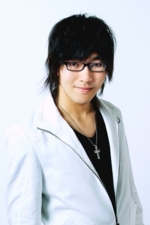 Junya Enoki is casted as Rui Maita (S.E.M). 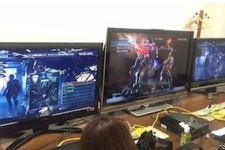 New casts were introduced at Niconico Live Broadcast. 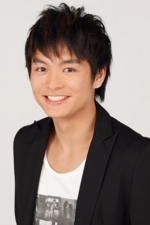 Junya Enoki joined the program at 2nd September. Now is the time you to become a Producer!! 「Hinabachi-BEE- #1」in now on air. Various actors from Atomic Monkey joined the program. Please check it out! New Anime 「A Corpse Is Buried Under Sakurako's Feet」will start from this October introduced casts. 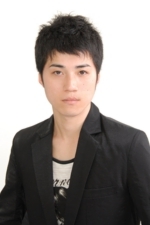 Junya Enoki is casted as "Shotaro Tatewaki" who is a one of main character. Mysterious and attractive characters will bring you into the Sakurako's world. New Anime 「COCOTAMA」start from 1st October 2015 (TV TOKYO and other) introduced casts. It is very pretty and happy story!! Get your family together in front of TV!! Atomic Monkey Training institution updated interview blog for 2015. 4 Atomic Monkey Hot & Fresh actors (Junya Enoki, Makoto Takahashi, Makoto Koichi, Katsuyuki Miura) were interviewed by one of their instructor at the institution. They spoke their experiences, memories and professionalism at pro field. If you are interested in "Voice Over Industry", you can find many useful stories. Even though you are not interested in the industry, their stories are interest to read!! Subaru Kimura appeared on TV drama 「Death Note」#6 as a guest. The part was a quick but his name was in credit! His hair color was brown in victim photo but blond in action scene. Some of you may missed action scene. So now you know how he looked! Don't you want to check the drama again and find him? Thank you for coming down to see him. Shironeko 1year memorial T-shirts: White he wore during the event. Our talents are appearing in AT-X Summer special spot from today! If you watch AT-X (cable TV), you can see our talents at CM time frame. How many of favorite Atomic Monkey talent can you find? AT-X wil have special program to stream all 60 talents. AT-X Official youtube is also available. Niconico Live broadcast program「Bushimo Broadcast Station ver2.0 #5」will be on air today at 20:00 (Japan Time)! 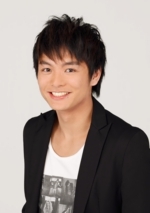 Makoto Koichi appeared on the program as MC. Tomokazu Seki (as Shinya Kogami) & Subaru Kimura (as Sem) joined 「Reading play 『PSYCHO-PASS サイコパス』‐ALL STAR REAL ACT‐」at 19th July. Subaru Kimura appeared on the stage as a surprise guest! Thank you for coming to see the play and thanks to fans who could not get the ticket but continue sending great cheers!! It is hoppy to announce 「Reading play 『PSYCHO-PASS サイコパス』‐ALL STAR REAL ACT‐」 will be released by Blu-ray!! If you missed the play, you can still enjoy it at home!! 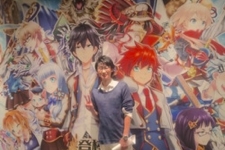 Katsuyuki Miura attended「KOEDA RIZE R: SHIRONEKO PROJECT Product」releasing party at Chaguma Gakuen located in Harajuku as “Clive” who is the favorite character in the game at 15th July. If you have not yet started playing 「SHIRONEKO PROJECT」, now is the time to start!! 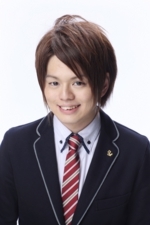 Junya Enoki will be in 「Monthly BUSHIROAD TV」(on air on 16th July). The program can be seen at Youtube “Bushiroad Movie” channel for a week from 16th July. 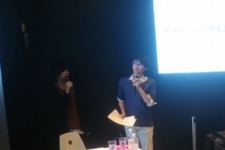 Junya Enoki is speaking his secret specialty and new title booster “Token Ranbu - ONLINE –“ which is collaborating VanguardG and Token Ranbu (Junya Enoki is in both title). Are you ready to “STAND UP”!? Tomokazu Seki new character CD which is singing as Tasumi Shinonome is on sale at 15th July. This CD is a series of “Boyfriend (Kari)” character song CD vol.2. Preview is available at official HP. Please visit and check it out! 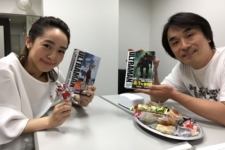 Tomokazu Seki (as Dan Moroboshi) and Reona Irie (as Kurata) are in Motion Comics 「URTLAMAN」3 (#15・#16). 「URTLAMAN」3 is available for free viewing until 30th September. New comic is released at 4th July. Please check this out too. New radio program 「YUNIZON」is starting from today, 29th June. 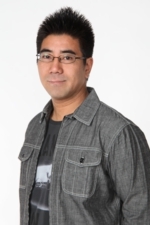 Tomokazu Seki is a radio personality for Monday. The program start from 25:00 at Bunka radio station & Tokai radio station. 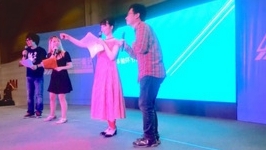 Fumiko Orikasa joined 「ACG Anime Game Festival Chongqing, China」event. Here is some photos from the event and private shot! Fumiko enjoyed nice walk around city. Fumiko loved wonderful Chinese hot pot! Yuki Ono Debut Mini Album is Now on Sale! Yuki Ono released his Debut Mini Album 「Party Man」 at 22nd June. Yuki Ono Debut Mini Album"Party Man"
Yoko Takahashi transferred to HENMI PROMOTION at 1st May 2015. Thank you for your support and we’d like to ask your continuous support to her. 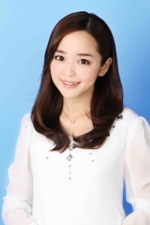 Megumi Han will be appearing as a Guest of Honor during the biggest Anime Event in the U.S., "AnimeExpo 2013" which will be held from July 4th through 7th at the Los Angeles Convention Center. There will be a Panel, autograph sessions, and many other exciting events. Maybe we can get some Behind of Scenes insider stories from her. Let's spend an exciting time on Independence day weekend at "Anime Expo 2013"! Get ready, all anime-fans! Let's have some fun together! 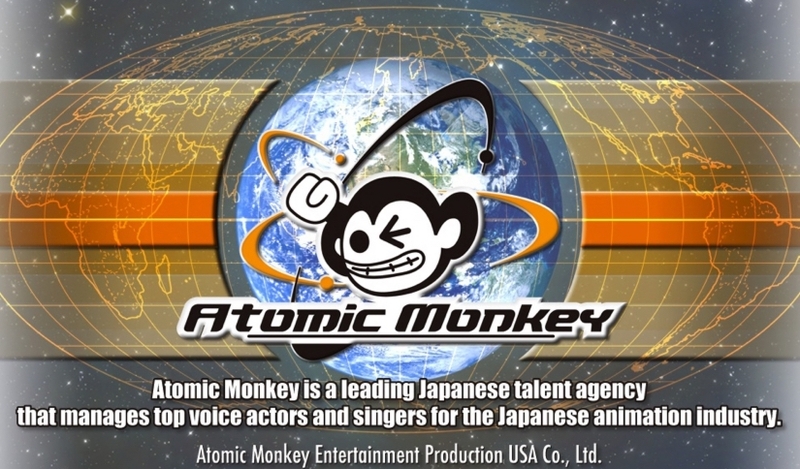 We are pleased to announce that Yuki Ono, one of the top Atomic Monkey's voice actors, was awarded in the "2013 Voice Actors Award" for the category, "Male Voice Actor, Supporting Role". The "Voice Actors Award" is the highest honored award in the voice actor industry. Such a prestigious award was given to us because of fans like you. We are very fortunate to come cross amazing project and play a fascinating character, which lead him to this honorable award.We appreciate the chance and are thankful from our hearts.Your continued dedication and support for Yuki Ono is much appreciated. As some of you may know, I recently received an award, "The Voice Actors Award" for the category "Male Voice Actor, Supporting Role". 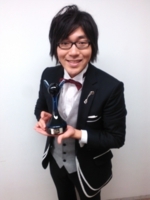 This award was given to me because of the support from fans, staffs, my family and friends. It is my delight to receive your continuing support for my works. Accepting "The Voice Actors Award" has deeper meaning beyond the award itself. This, I believe, is a new mission to expand our voice to a wider world audience. My wish is to be able to participate in many more wonderful projects and to create emotion with my voice not only Japan, but throughout the rest of the world. Finally, my hope is that people will know more about the amazing world of a Voice Actor, and I wish to be a part of the industry's future success. Copyright 2012-2013 Atomic Monkey Entertainment Production USA All Rights Reserved.